Consumers and health professionals are advised that St Jude Medical, in consultation with the TGA, is issuing a hazard alert for Nanostim leadless cardiac pacemakers. Leadless cardiac pacemakers, like standard pacemakers, are implantable medical devices that deliver electrical impulses to treat slow heart rate (bradycardia). However, unlike a standard pacemaker, a leadless cardiac pacemaker is implanted into the patient’s heart via a catheter into the right ventricle and does not require a pacing lead, connector or pulse generator pocket. It has been identified that patients with Nanostim leadless cardiac pacemakers may experience loss of telemetry and pacing due to battery malfunction. Investigation by St Jude Medical found that these battery malfunctions were due to 'dry battery cell'. Nanostim leadless cardiac pacemakers have been implanted into 22 Australian patients as part of the Nanostim Leadless II IDE/CAP Study. That study has now been paused and participating health professionals have been instructed to stop implanting these devices into new patients. This decision has been made after seven reports worldwide of patients participating in the study experiencing loss of telemetry and pacing due to battery malfunction. Each of these reported cases occurred more than two years after implantation. Pacemaker-dependent patients and those who experiences loss of telemetry and pacing may need to be implanted with a replacement device. No patient injuries have been reported as a result of this issue. 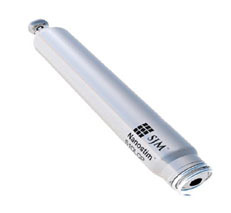 St Jude Medical has contacted the cardiologists who have implanted Nanostim leadless cardiac pacemakers as part of the Nanostim Leadless II IDE/CAP Study, providing further information about the above issue including patient management recommendations. If you or someone you provide care for has a Nanostim leadless cardiac pacemaker, your managing cardiologist will contact you to discuss this issue and potentially review your treatment to ensure you continue to receive effective care. In the meantime, if you experience lightheadedness, dizziness or fainting, contact your managing cardiologist immediately, as these could be symptoms related to this issue. Please note that only 0.5% of Nanostim leadless cardiac pacemakers implanted worldwide have experienced battery malfunction. In each of the seven reported cases, the patient had their pacemaker for more than two years when the problem was identified. If you have any questions or concerns about this issue, please contact your managing cardiologist. If you are treating a patient who has a Nanostim leadless cardiac pacemaker and is concerned about this issue, refer them to their managing cardiologist. Advise them to contact their managing cardiologist immediately if they experience lightheadedness, dizziness or fainting, as these could be symptoms related to this issue. If you are participating in the Nanostim Leadless II IDE/CAP Study, contact affected patients to discuss this issue. Do not implant Nanostim leadless cardiac pacemakers into new patients. Patient management recommendations differ for pacemaker dependent and non-pacemaker dependent patients. For pacemaker dependent patients, device replacement is recommended (priority should be for patients with implants of longer duration). For non-pacemaker dependent patients with devices of implant duration ≥ 24 months, more intensive follow-up and monitoring is recommended. It is recommended that patients who have not previously been documented as pacemaker dependent be reassessed in-office for pacemaker dependence. St Jude Medical has provided information in a letter dated 28 October 2016, which includes detailed patient management recommendations and a letter for affected patients. Please refer to this advice or contact St Jude Medical on 02 9936 1235 for further information.